Born and raised in Hong Kong, award-winning cellist Tsz To Wong is one of the rising-star in his generation. Since his debut in 2007, Tsz To appeared as a soloist with local orchestras regularly and his performances includes Haydn’s Cello Concerto, Popper’s Hungarian Rhapsody, Dvořák’s Cello Concerto and Tchaikovsky’s Rococo Variations. He has worked with some of the most influential musicians in the 20th century including Lorin Maazel, Lynn Harrell, Gerard Schwarz, Yuri Bashmet, Peter Salaff and Mark Kosower. Tsz To holds a Master degree in Suzuki Pedagogy and Cello Performance from the Cleveland Institute of Music and he is currently a graduate student at Rice University under the tutelage of Norman Fischer. Already in his 20th year of playing the cello and the 8th year of teaching it, Tsz To is a fully-trained Suzuki cello teacher. He has registered training of Cello Unit 1-10 and Every Child Can! with the Suzuki Association of the Americas. For two years he worked as an assistant teacher at the Sato Center for Suzuki Studies in Cleveland Ohio. Currently, Tsz To is also the orchestra instructor and conductor at the Memorial Lutheran School in Houston apart from active teaching of private lessons and group classes. 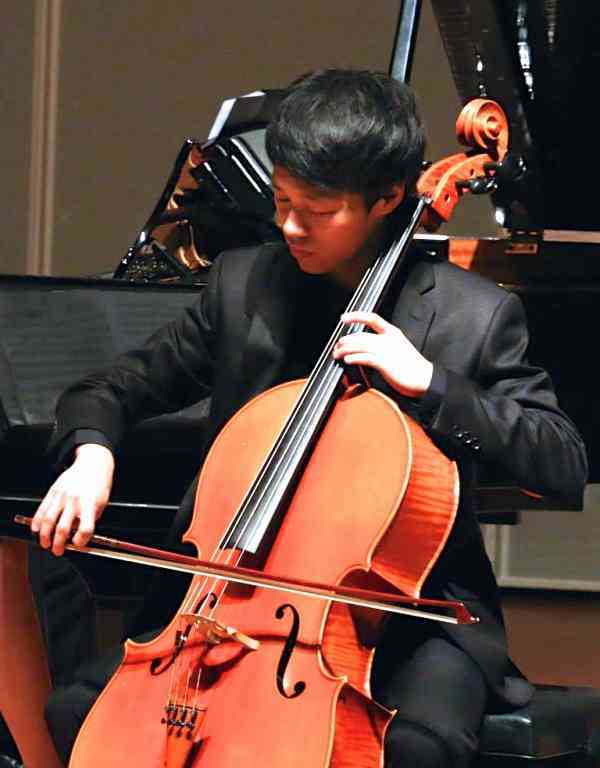 As the recipient of Appassionata Endowed Scholarship in Music from Rice University and Fellowship Diploma from Trinity Guild Hall, Tsz To is the top-prize winner of numerous competitions, including Gold Prize of the Cleveland Cello Society Competition 2016 – Collegiate Division, First Place of the American Protégé International Piano and Strings Competition 2016—College students and professional musicians and the second runner-up in the Getting to Carnegie – Cello Competition in New York. He is also awarded the Asian Cultural Council Hong Kong Arts Circle Fellowship and the Ohio Federation of Music Clubs Music Scholarship.